The Village staff and Community Development Department are now located in the new Village Hall at Suite 101, 9401 Corkscrew Palms Circle, Estero, FL 33928. The Community Development offices are on the first floor, along with the Council Chambers, and the Village administrative offices are on the second floor. All Village staff phone numbers and email addresses remain the same as they appear on the Village website. The Community Development Department’s main phone number is 221-5036. 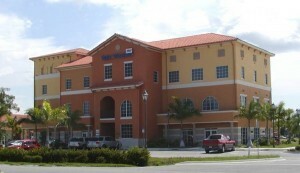 The Village Hall is located on the south side of Corkscrew Road, on the east side of the entrance to the Estero Community Park.